Dark, twisted, unique, intense, amazing: these are the words that readers are using to describe SCYTHE by Neal Shusterman. 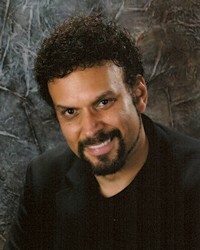 Honestly, everything Shusterman writes is just so original and fascinating, he's an auto-buy author for us. Kit read SCYTHE and loved it, and immediately gave it to me. So excited for book two! If you're looking for something to give the reader in your family, look no further! Read it now before THUNDERHEAD comes out in January. Here's what the booktube community has to say about SCYTHE. 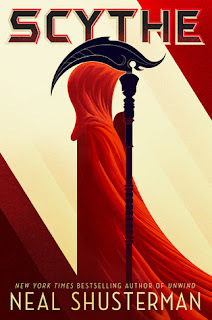 Rowan and Citra take opposite stances on the morality of the Scythedom, putting them at odds, in the chilling sequel to the Printz Honor Book Scythe from New York Times bestseller Neal Shusterman, author of the Unwind dystology. The Thunderhead cannot interfere in the affairs of the Scythedom. All it can do is observe—it does not like what it sees. A year has passed since Rowan had gone off grid. Since then, he has become an urban legend, a vigilante snuffing out corrupt scythes in a trial by fire. His story is told in whispers across the continent. 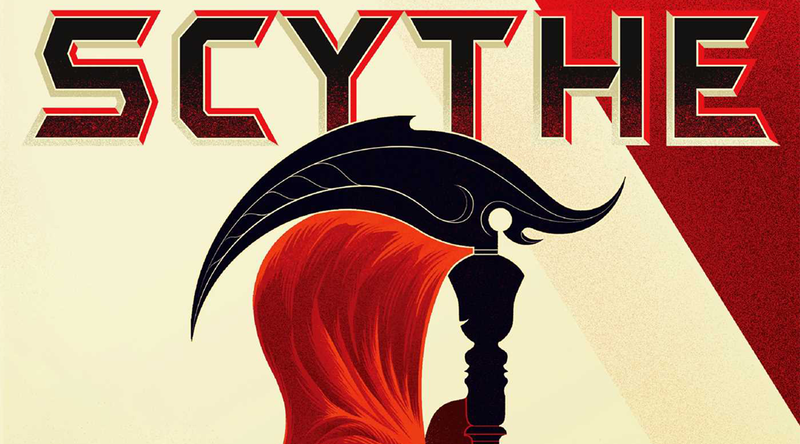 As Scythe Anastasia, Citra gleans with compassion and openly challenges the ideals of the “new order.” But when her life is threatened and her methods questioned, it becomes clear that not everyone is open to the change. Will the Thunderhead intervene? Or will it simply watch as this perfect world begins to unravel?